Your culinary tour in Tuscany, immersed in its picturesque hills and valleys of quintessential, will begin at a 14th-century monastery still inhabited by an order of monks, one of whom will lead you on a private visit of the grounds. 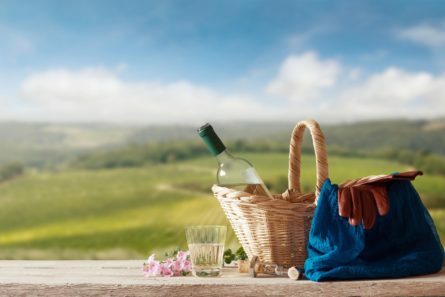 Your next stop will be at a family-run farm that produces premium wines, extra-virgin olive oil and cheese, all of which you will have the pleasure of sampling. You will also have the unique opportunity to watch the entire cheese-making process with an expert local guide. The next stop is the town of Panzano in Chianti, where you can break for lunch at the internationally-renowned restaurant of the world’s favorite butcher, Dario Cecchini. Non-carnivores may choose to eat instead at a traditional local trattoria. The final stop will be in the picture-perfect main piazza of the town of Greve in Chianti with its beautiful Renaissance palazzi, followed by a drive back to Florence through the heart of Chianti, the Via Chiantigiana. This excursion is organized with pick up/drop off in Florence. Price may vary for other pick up/drop off points.